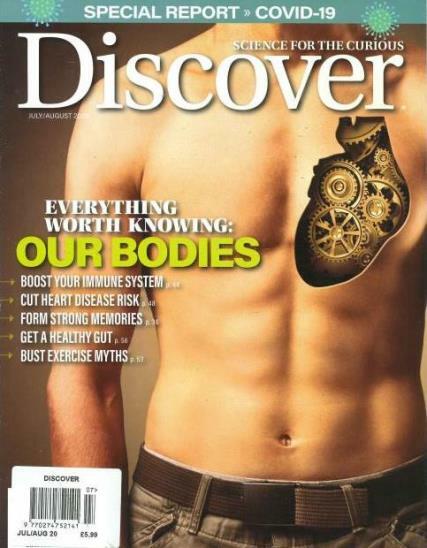 Discover magazine is written keeping in mind that the audience can also be from a non-scientific community. Buy a single copy or subscription to Discover magazine. Discover magazine has featured articles by eminent scientists like Stephen Hawking and the likes and preferred as a trusted platform by many other scientists when they want to disseminate essential new findings which they feel the general public ought to know. Discover magazine has many sections and each is equally informative. There is a section known as ‘The Brain’ which deals with the neuroscience and clinical psychology. Another section know as ‘Data’ deals with the latest updates in the fields of science. The ’Field Notes’ deals with real life cases and expert reviews on their medical conditions. The magazine often features an in-depth interview with a celebrity from the scientific world. The topic of the interview is generally related to the cover story or the hottest discovery doing the rounds in the scientific community.